Thank you my dear Teflon pan! Because you are quite expensive compared to ordinary pans, I just bought you last year. Even though I broke my piggy bank just to have you, in return, you never failed to disappoint me. I am not a good cook, so having you in the kitchen makes me motivated to try different dishes. I hated to cook before, one example dish is the fried fish. Yes, fried fish! I know it is so easy to cook but using an ordinary pan makes it hard for me. My fried fish is always not presentable since it’s skin is always sticking on the pan and that is why when I transfer it to the plate, it looks like it was already eaten by a cat.But with you, my Teflon pan, my fried fishes looks classy, even though sometimes I forgot to put salt in it, the fish still looks and taste yummy. It looks like it was cooked by a pro! But, there are things that really don’t last forever. I am sorry my dear Teflon pan if I forgot to introduce you to the other members of this house. I thought I will be the only one to use you, I should tell them that you are very particular on what utensils to be used in your surface. You don’t like metal since it can damage your non stick surface. Also, you don’t like to be put in a dish washing sink and you don’t want to be poured with cold water while you’re still hot. Washing you with a non scratch pad or a sponge is your favorite since it will not ruin or harm you. 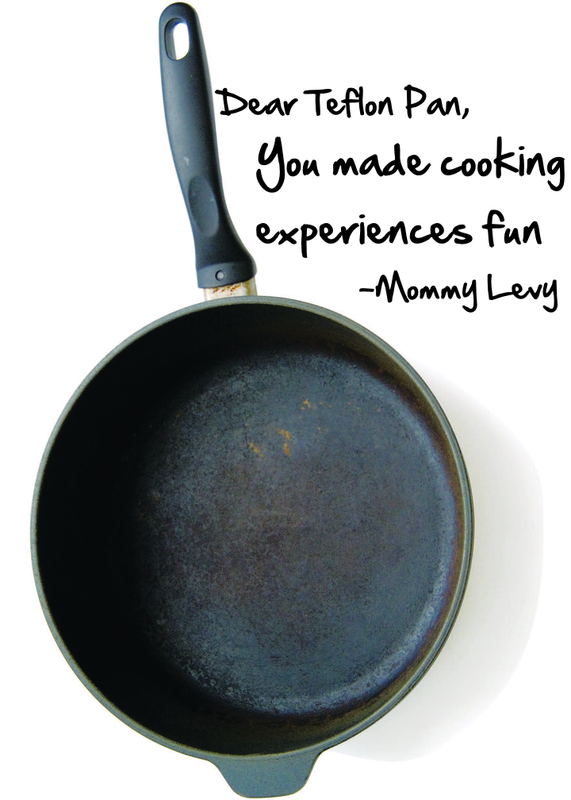 You made cooking experiences fun, my Teflon pan, and I am really sorry if you gained some scratches on you right now. I know I am to be blamed for it also, but don’t worry, I will take good care of you more and I will make sure that I will be the only person to use you ever again. I know you are lonely alone, so I will brake my piggy bank once again to buy you a partner in the kitchen. Till tomorrow Teflon pan… Thank You! How to avoid getting dry hair this summer? Saving the planet in my own little way! I save P35 in drinking water by using this product! Quite very interesting delivery of story. We have about 4 or 5 sets of them and one is already almost decommissioned. Learn from mistakes. Teflon pans are love! I had to break a bank ~ piggybank ~ myself to get my hands on the 2 teflon pans I own.